Location | Dubbo & District Family History Society Inc. 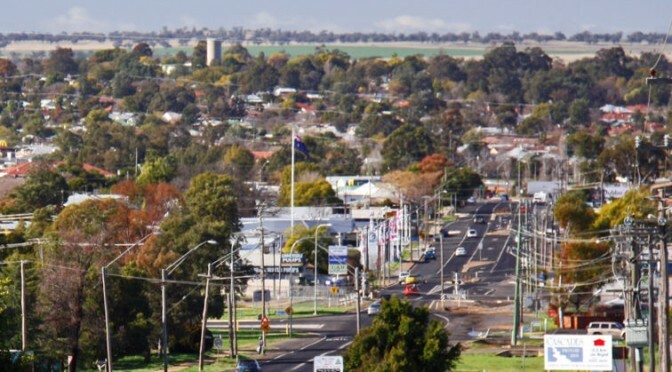 The city of Dubbo in New South Wales, Australia, is situated at the junction of the busy Mitchell and Newell highways and has been an important centre from the early days of western settlement and a gateway to the vast western plains. Dubbo is located in Wiradjuri country, and its foundation still races through the veins of many local residents. It’s this passion and spirit that saw its growth from a village in 1849, to a village in 1872, to a city in 1966, and the thriving regional hub it is today. Dubbo’s biggest tourist attraction is the Taronga Western Plains Zoo. Based on 300 hectares of bushland, and home to over 700 animals, the zoo is widely recognised as Australia’s greatest open-range zoo and runs a successful breeding program for a number of endangered species.